Twinkle, twinkle little star it's all about sparkles that sparkle from afar. A sequin cardigan, a simple glittery bracelet or even some blinged out sandals will do the trick to master this trend. It's one of those that you can take to the extreme or you can play it safe with a couple of fun pieces. Have fun and sparkle on. 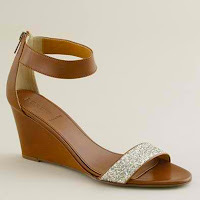 I love these subtle glitter crushed wedges from J.Crew that would be perfect for a date night. 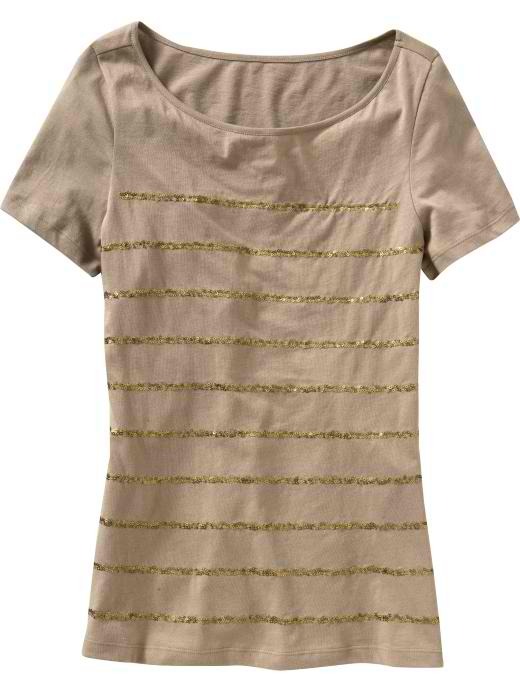 This sequin strip tee from Old Navy is super chic and under $25.